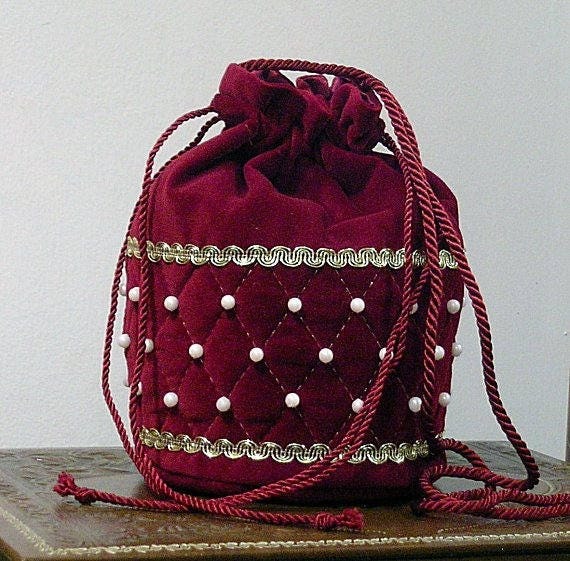 This round burgundy velveteen drawstring purse is diamond quilted with gold metallic thread and has a 6mm freshwater pearls hand sewn at each junction. 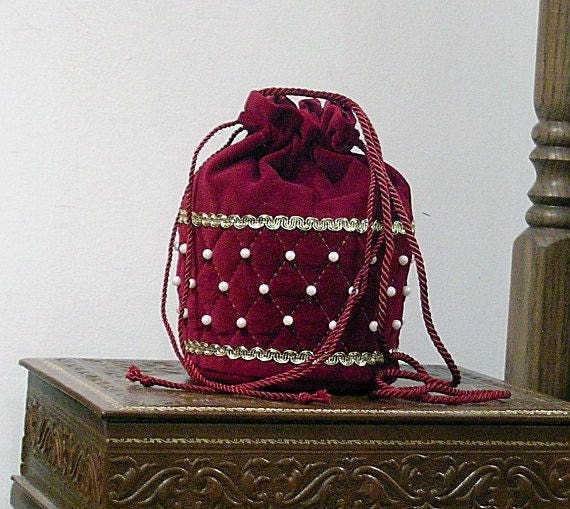 The pearls are individually knotted and glued for security. 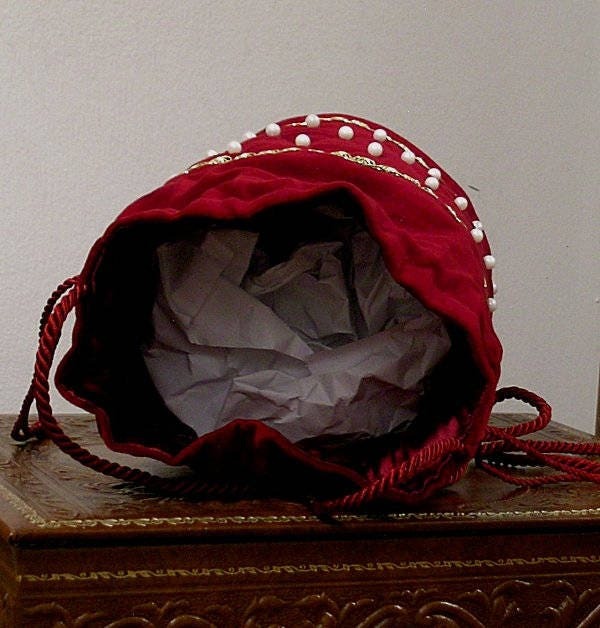 There is a metallic trim embellishing the top and bottom of the quilted section. The actual color is darker than the pictures indicate. 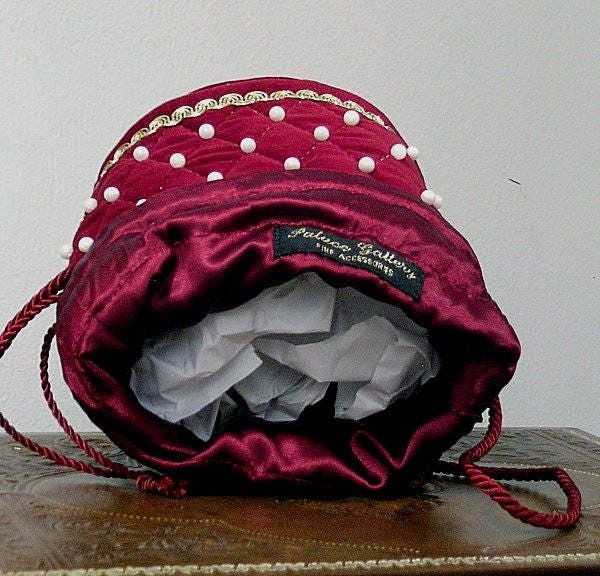 The purse is fully lined with burgundy satin fabric. It measures approx. 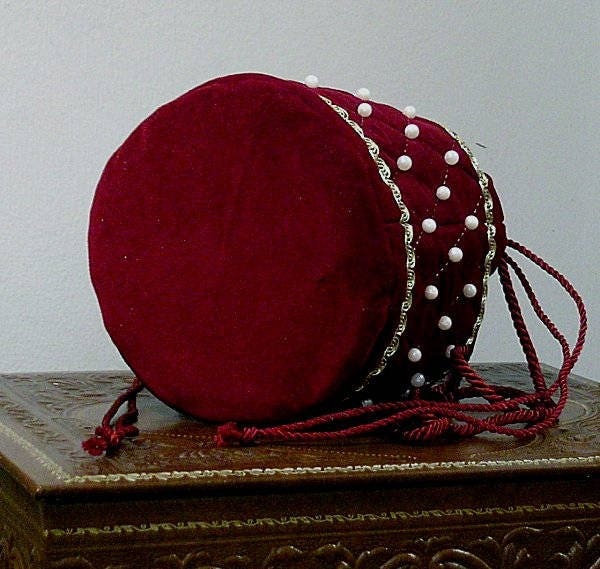 5" in diameter and is 7 1/2 inches tall. 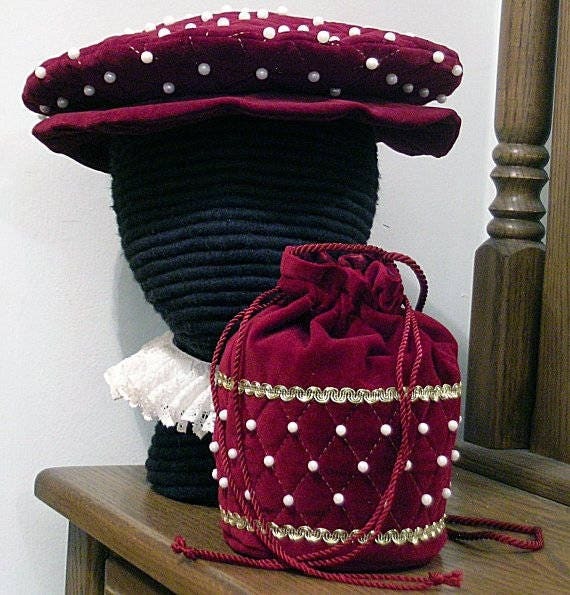 Attached is a 40" gold/burgundy twisted cord (20" folded in half) for hanging from the purse from the shoulder. We ship via USPS Priority Mail - Insured for safety and so that you will receive your package in 2-3 days once it is posted; plus you can it track it on-line. 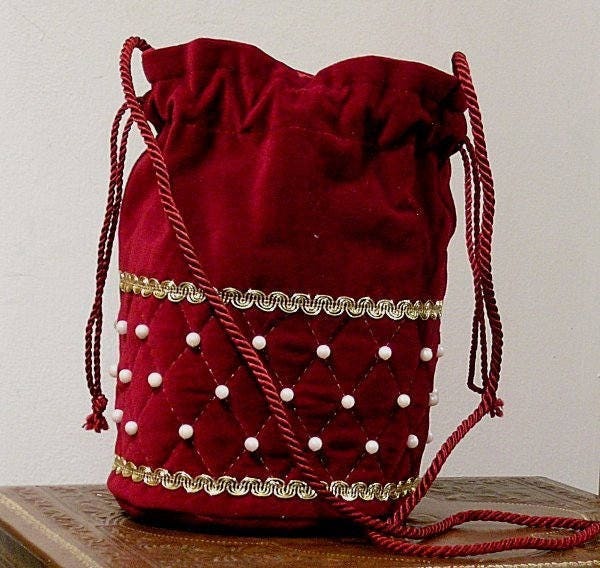 This same style purse is also available in black velveteen or purple satin, listed separately.